I had such a fantastic time here in Dresden at the conference. There were several really great lectures. If you take a close look at the first picture you will see my beautiful translator! I would have been lost with out her, Kathrin Muysers. I count her as a friend too now, so I had an extra bonus:-) She happens to be pregnant so this was fantastic for her! Eva Vogelgesang, a pediatric nurse who has been working with preemies and full-term babies for 30 years spoke in depth about best practices and the use of stretchy wraps and how the hospitals came to use them. She also went into implentation in the practical setting and it was followed by us actually doing hands-on practice with her. There was also an amazing lecture by Birgit Kienzle-Muller a physical therapist who has spent her career working with Hypotonic and Down Syndrome babies. 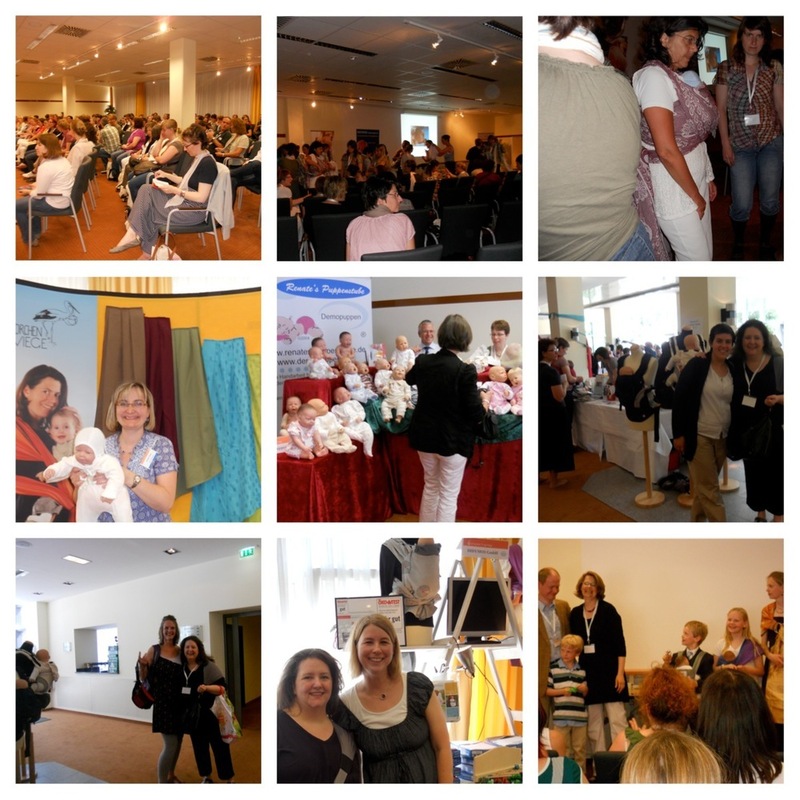 She began working with Die Trageschule Dresden three years ago and this lecture was the summary of their findings related to babywearing and improved outcomes for these babies. It was truly enlightening to hear about the process and be reminded how important is to have perserverance. She presented an overview of the particular needs of these babies and the steps they took in their research. She went into details about the best methods of wearing for these babies and mothers and left plenty of time for questions. There were many for certain. I stayed for a few days after the conference. So I did a little sight seeing in one of my favortite cities, Dresden. I was also happy to spend time with Ulrike even though she was recovering from the enormus undertaking of putting on the conference. All around a trip to remember!